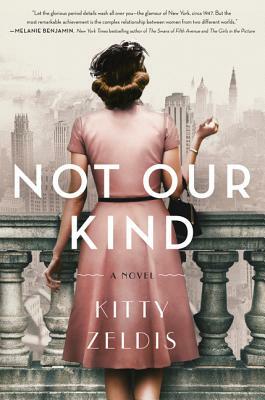 With echoes of Rules of Civility and The Boston Girl, a compelling and thought-provoking novel set in postwar New York City, about two women—one Jewish, one a WASP—and the wholly unexpected consequences of their meeting. Though she feels out of place in the Bellamys’ rarefied and elegant Park Avenue milieu, Eleanor forms an instant bond with Margaux. Soon the idealistic young woman is filling the bright young girl’s mind with Shakespeare and Latin. Though her mother, a hat maker with a little shop on Second Avenue, disapproves, Eleanor takes pride in her work, even if she must use the name "Moss" to enter the Bellamys’ restricted doorman building each morning, and feels that Patricia’s husband, Wynn, may have a problem with her being Jewish. Gripping and vividly told, Not Our Kind illuminates the lives of two women on the cusp of change—and asks how much our pasts can and should define our futures.